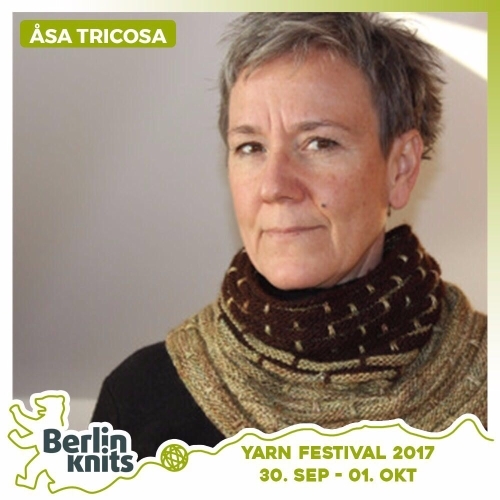 Asa Tricosa Ziggurat techniques SATURDAY Ticket Asa Tricosa - Asa Tricosa - Workshops | Berlinknits - Yarn Festival 2017 - 30.9. - 1.10. Sprache/language: Englisch/englisch - but you are welcome to ask questions in German! Learn the basic steps of the elegant, seamless, top-down Ziggurat way to well-fitting sweaters. We will knit a mini-Ziggurat to practice at least one short-row method, explore little tricks & techniques to create neat sleeve caps, and master the winding and crochet cast ons for underarms, button bands, and necklines. And have fun.